JOIN THE EMAIL LIST AND RECEIVE A FREE COPY OF THE E-BOOK – AFFIRMING YOUR COURAGE. 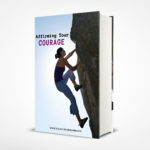 AFFIRMING YOUR COURAGE book focuses on defeating negative thoughts. This inspirational and motivational book includes information for shy ones about mindset shifts, mindfulness, therapies, and more. The book includes affirmations and mantras that will help you overcome fear, shyness, loneliness, guilt, regret, embarrassment, confusion, emptiness, feeling lost, feeling taken advantage of or used, feeling unimportant, etc. If you are a painfully shy woman, this book is for you. You will find encouragement to enhance the different areas of your life so you can focus on and nurture the positive.